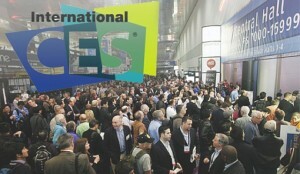 The CES show is on in Las Vegas every year in January. There are lots of new devices being shown at the CES show. Which grab the attention of all the computer geeks around the world. It also grabs the attention of many people who are just interested in the evolution of technology that is taking place in the industry. Whatever your motivation, this is one of the premiere conferences and shows to go to every year. Book early, room rates skyrocket during this period. Three major areas that consumers should watch over the next year are going to generate many new technologies and devices that will change our lives. The cloud has been talked about for the past year and will continue to grow as more and more people place information in the cloud. This means that you store your files and information on a server somewhere, just not on your local PC. Miniaturization of devices so that we can wear them on our person, on our clothes, and purses and wallets. Computers, hard drives, thumb drives etc are all getting smaller. Our phones are physically getting larger, but the capabilities are expanding exponentially. This is just a sample of what is available and will be shown at the CES show every year. Keep track of the evolution of technology by attending shows like this one.